Because of our love for smartphones and internet-connected devices, having a reliable Wi-Fi connection is as much of a necessity as heating or electricity. Despite this, internet service providers often equip their customers with underperforming home Wi-Fi systems with poor signal strength and lack of features. If your home Wi-Fi or cellular reception isn’t very stable and you would like to do something about it, the Wi-Fi systems featured on this list will give your Android device the strong signal they deserve. Google’s Wi-Fi system works like an expandable mesh Wi-Fi network. This type of a Wi-Fi network is popular in the business environment as it allows companies to easily expand their Wi-Fi coverage by simply adding additional nodes to the network. With the Google Wi-Fi system, you can eliminate dead zones by replacing your old router with as many Google Wi-Fi points as you want. A single point is designed to cover a smaller apartment, and three should easily cover a large house. Each point features 2 gigabit Ethernet ports and simultaneous dual-band Wi-Fi with support for IEEE 802.11a/b/g/n/ac. You can control your home Google Wi-Fi system using the companion Android app available on the Play Store. The app lets you set up your home network, prioritize a device for faster speeds, pause the Wi-Fi on any device connected to the network, see detailed usage statistics, create separate guest networks, run a diagnostic check, and more. The Orbi Home Wi-Fi system is perfect for Amazon Echo users and those who want to cover a large area with a strong Wi-Fi signal. 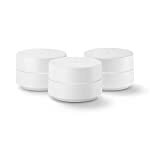 From the technical point of view, Orbi is a tri-band Wi-Fi system with a data transfer rate of 3,000 Mb per second and 2.4 GHz radio frequency compatibility. But it’s not the technical specifications that make Orbi as great as it is—it’s the user experience. Unlike other Wi-Fi systems, Orbi doesn’t require any setup. Just connect the device to the internet and follow the on-screen directions that will automatically appear on your laptop or smartphone. No more obscure setup IP addresses, hard-to-remember admin passwords, and ugly user interfaces. 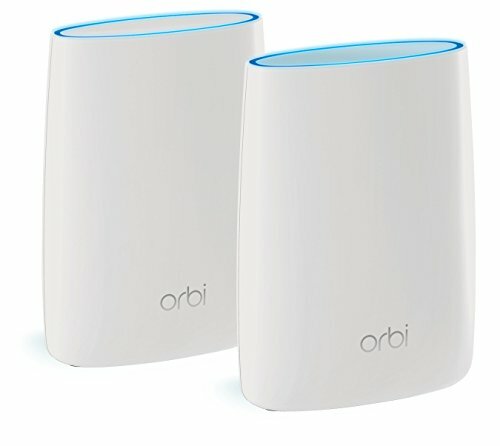 Two Orbi points should cover up to 4,000 square feet with high-performance Wi-Fi, and you can purchase additional points to extend the coverage even further. 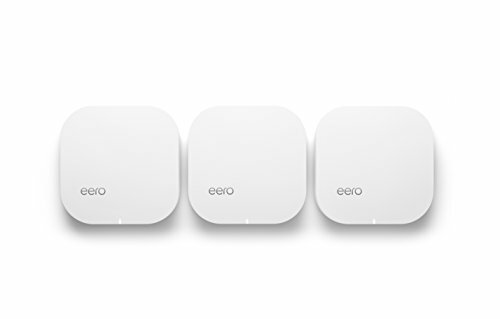 Powered by TrueMesh, a mesh routing algorithm custom-built from the ground up to take full advantage of the hardware, the eero home Wi-Fi system is simple, reliable, and very sleek. The setup is dead-simple, the Android app allows you to easily setup and manage your eero system, and automatic software updates introduce new features for free, making eero even better. Included in the box are three eero units with power adapters, Ethernet cables, and a quick start guide. Each unit has a powerful 1.0GHz dual-core processor, 512MB RAM, and 4GB flash storage. 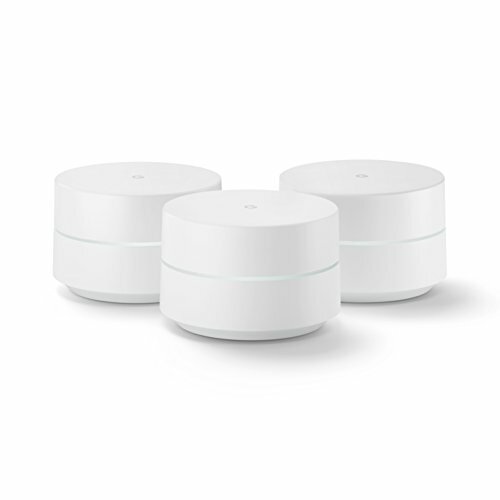 Eero supports simultaneous 2.4GHz and 5GHz wireless connections, 2×2 MIMO, IEEE 802.11a/b/g/n/ac, and Bluetooth Smart Ready standards. Most Wi-Fi systems are designed with to fulfill a sole purpose: get you online. That’s all fine, especially given that many systems can’t even do that properly, but we live in the era of connected devices, and it’s not unreasonable to want more. 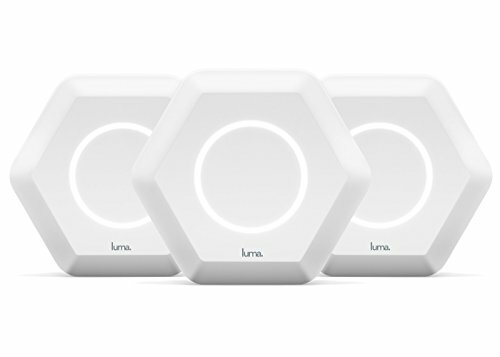 Luma Whole Home Wifi System does more—a whole lot more. It delivers fast Wi-Fi to every room in your house or apartment and automatically scans and neutralizes any malware it detects. Luma also feature smart parenting controls, effectively making dedicated parenting control software obsolete. To manage Luma, simple install the Android app and log in. The Luma app helps you set up a mesh network, check usage statistics, grant guest access to friends and family, see what devices are currently connected to your network, and more. Linksys is one of the most reliable manufacturers of networking equipment, trusted by hundreds of thousands of individual customers and enterprises alike. Their Velop home mesh Wi-Fi system works with Amazon Echo, allowing you to manage your Wi-Fi network using voice commands. Included in the box are three Velop units, each offering around 2,000 square feet of coverage. Together, they cover up to 6,000 square feet with high-performance Wi-Fi that’s fast enough even for 4K video content and competitive online gaming. 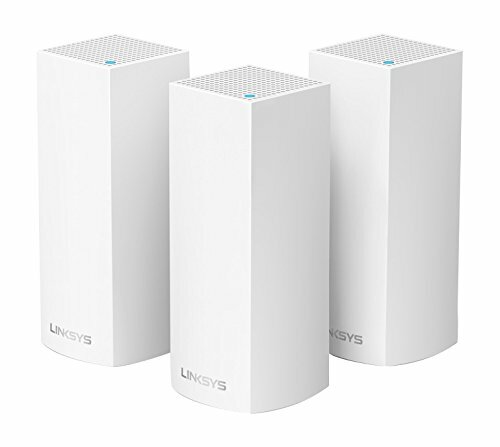 You can conveniently manage your Velop home Wi-Fi mesh network using the Linksys Android app. Using the app, you can prioritize devices, protect your private information by creating separate guest networks, access and manage your Wi-Fi from anywhere, and quickly view the current status of your Wi-Fi, among other things.